Company unveils M32R and M32C mixers, as well as the DL32 stage box, at this week's US show. Midas has strengthened its M32 console platform with the new M32R and M32C digital mixers, along with the DL32 32 x 16 stage box. 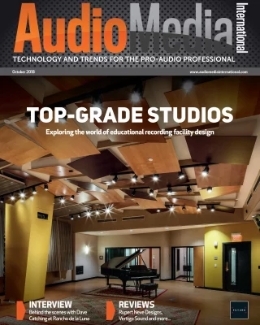 Both the M32R and M32C are 40-input/25-bus systems with a host of connectivity options, aimed at audio professionals in need of "advanced live sound and recording solutions." The M32R features the same Midas microphone preamplifiers and ‘1-million cycle’ motorised faders as the manufacturer’s PRO Series consoles. 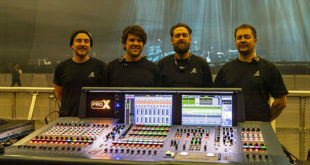 The mixers also feature ULTRANET connectivity for ‘Acoustic Integration’ with the latest Turbosound active loudspeakers and P-16 personal monitoring systems. 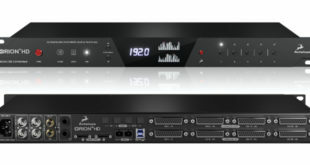 Expanding on the functionality and connectivity of the DL16, the DL32 stage box doubles the I/O in a 3U rackmount chassis with 32 Midas PRO Series microphone preamps, 16 XLR outputs, two AES50 ports, AES/EBU stereo outputs, MIDI I/O and dual ADAT connectivity. “The M32R takes the elements crucial to our highly-acclaimed PRO Series console range and puts them into the hands of new Midas digital customers – at an exceptional price point,” said Graham Rowlands, Music Group Vice President of Global Sales. Professional Division. “The M32C puts the processing and channel/bus count of the M32 console into a 1U solution. 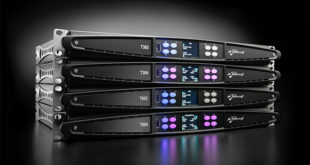 Installers, corporate A/V [professionals[ and those desiring the utmost in compact portability now have a Midas solution. Pair it with the DL32 stage box and you have a 32 x 16 solution that can fit in a 4U rack. 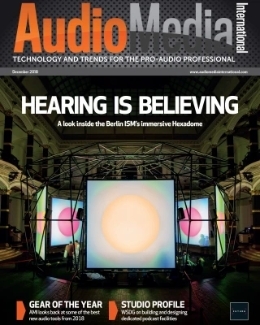 These wonderful new products along with the existing M32 and DL16 stage box offer users a truly unprecedented amount of flexibility, quality – and value." The Midas M32R, M32C and DL32 are available at an estimated US street price of $2,999, $999 and $1,999, respectively – and are covered by a three-year warranty programme. 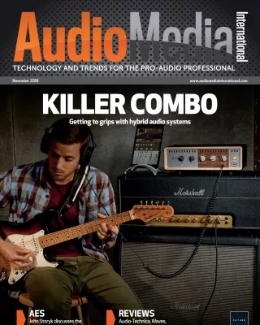 The new additions to the M32 series are being shown at this year’s NAMM Show (Booth 5244).